Looking for a stunning summer, urban family event? 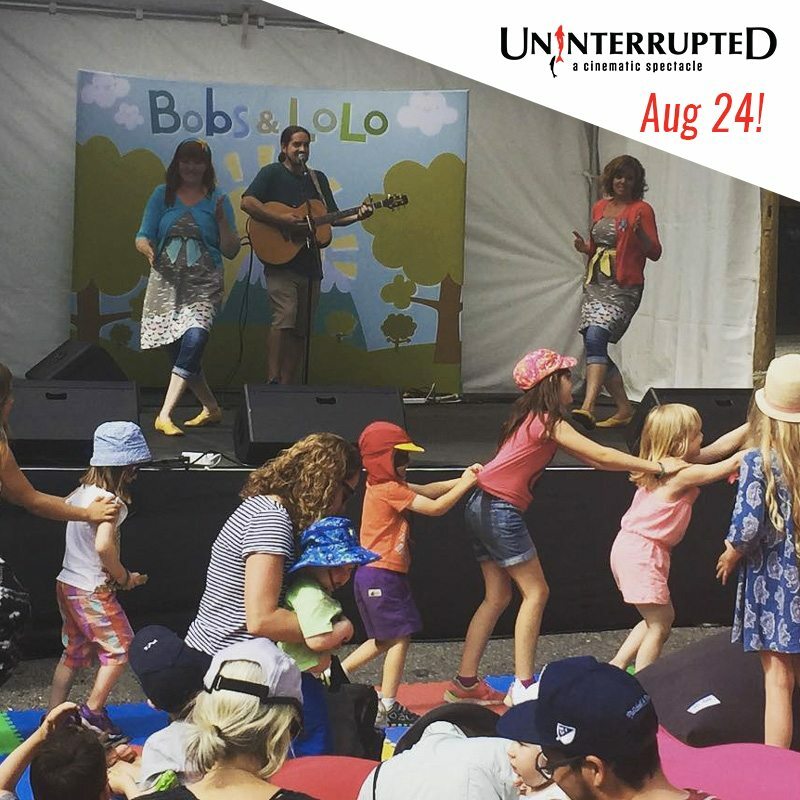 Uninterrupted is one of this summer’s MUST-SEE’s, and TONIGHT (August 24th), this spectacle is specially geared towards children and families, and it’s FREE. Super star musicians (and friend to our fishy friends) Bobs and Lolo will be on hand, and there will be crafts and all kinds of fun. Every night, this mesmerizing 25-minute cinematic projection, which follows the extraordinary (and visually gorgeous) migration of the pacific salmon takes place under the Cambie Bridge. The heart of a river meets the heart of a city as Vancouver’s Cambie Bridge is transformed evenings after dusk. Why: To launch the new 9:00 pm start time with families, get everyone immersed in the story of the iconic Pacific salmon before back to school and say thanks to the youngsters who have shared their playground with Uninterrupted, our audiences and our larger than life salmon stars this summer!